Enlist and help your country. 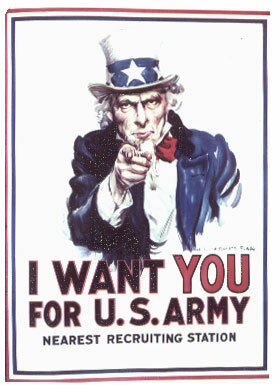 Flagg wants men to enlist in the Army. A stern father-figure elicits a desire to obey, and shame if one doesn't. The image is still in use today, and has been since it was first drawn in 1917.
copyright © 2001-2004 classroomtools.com. All Rights Reserved.